It's after midnight so guess I can do day 4 especially since the party teen girls are still partying pretty hard. lol Still lots of giggles heard. I think most could probably guess my favorite male character that isn't Dean or Sam would be Castiel. 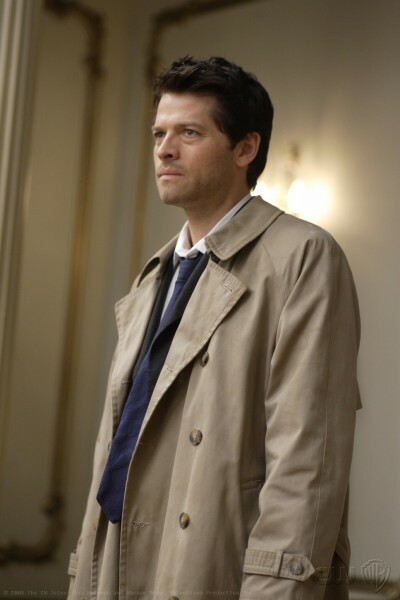 I fell in love with Castiel's character since seeing him in the first episode of season 4. I understand some fans are tired of him but I for one hope he continues to be on the show. He's family to the brothers and been through a lot with them. I at times am not happy with the choices that he makes. Though in the fandom world, I pair him with Dean, but in canon world I am happy for him being just friends and family to Dean and Sam. He is there to help and support the boys. He tries hard to do the right thing. So I personally hope he continues to be a regular in future seasons as he is now. I love Castiel too, I think he's a great character with and that endearing naivety of his complements the brothers' street smarts perfectly. Unfortunately, over the years, I think Castiel has been involved in a couple of really weak storylines - especially that whole war in heaven stuff which went on way too long - and that's maybe made his charctaer feel a bit jaded at times.